A House and Senate conference committee agreed on a final tax reform bill that is expected to pass this week. The uniform tax package was finalized and presented to Congress for a final vote in the House and Senate. The legislation is being advanced with a budget reconciliation process that allows the Senate to pass the tax bill with a simple majority vote. 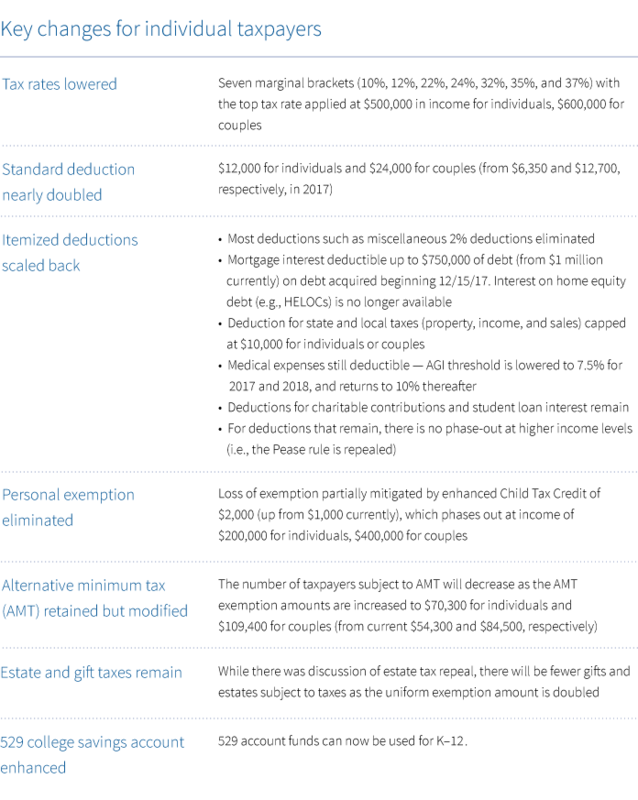 Under the agreement, individual and estate and gift tax provisions will sunset after 2025. As part of the deal, the individual mandate to purchase health insurance under the Affordable Care Act will be repealed beginning in 2019. Additionally, while the Senate version required investors selling individual stock positions to use the first-in, first-out method (FIFO) for calculating cost basis, this provision was not included in the final package. Once approved by Congress and signed by the president, the tax reform provisions will go into effect for the 2018 tax year.